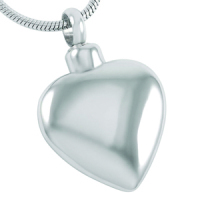 The fastest growing demand are jewelry and keepsake items. Thus we have added this section with a large variety of option. 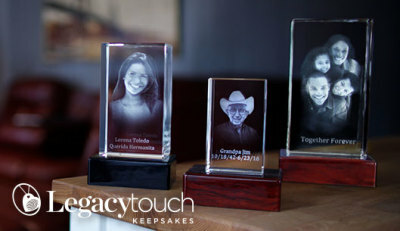 The Legacy Touch pieces are laser engraved keepsakes with loved ones finger prints. Costs start at $150. The Tribute Candles cost $20 each. Generally the background personalized to match your service folder selection. 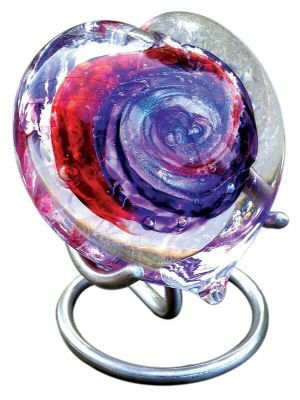 The Art Glass pieces start at $195. Available in many styles, sizes and shapes. 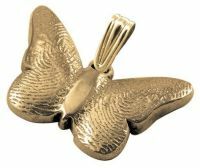 Many of the Jewelry pieces hold a portion of cremated remains, crushed flowers or a lock of hair. They start at $90. 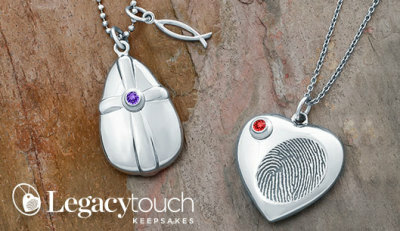 The Life Print pieces are cast pieces from loved ones finger prints. Costs start at $150. Tribute Blankets cost $155. If multiple of the same blanket are ordered there is a discount. There are many options for backgrounds and styles. 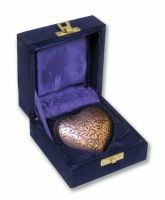 The Keepsake Urns start at $36 while the hearts start at $68. Available in many styles and shapes.